Have you been thinking about finding a good pair of hiking boots and exploring all that nature has to offer? The best part about hiking is that it's great for people of all ages and it's never too early or too late to get started. In addition to the excellent exercise it provides, trekking through local parks, mountains and reserves has a number of benefits on your body and your mind. From necessary gear and safety tips to trail difficulty and wildlife, it can seem a bit daunting when you first set out to learn about hiking. However, most of these things come naturally with time and there are endless hiking resources available today. As REI Expert Advice explained, both websites and guidebooks can provide vital information on hikes in your area, trail difficulty, elevation and distance, directions and more. Once you see your local trail options, you'll want to take into account your level of fitness, your time frame and the weather. As REI explained, be honest with yourself when it comes to your abilities. The best way to enjoy a hike is to attempt one that you're capable of completing. Be confident about your decision to start small, the important thing is that you're out on the trails in the first place. Though you may have seen pictures of experienced hikers decked out in all the best, top-notch gear, you won't have to go all out just yet. As the Bearfoot Theory explained, any backpack you already have at home will work as a day pack and a sturdy and durable pair of sneakers are good when you're just starting out. Once you get more serious, however, you will want to invest in a relatively good pair of hiking boots, especially if you plan to get a lot of miles out of them. One item that serves as a good investment no matter how experienced a hiker you are is a hydration bladder, Bearfoot Theory explained. Hydration is one of - if not the absolute - most important part of hiking. You want to always ensure you have enough water and that it is accessible. Hydration bladders that sit on your back and hydrate through a straw that reaches your mouth are ideal because they don't require you to stop, take off a backpack, remove a water bottle and unscrew the top just to take a sip. Additionally, it's always a good idea to have a GPS system with you no matter how short or long your hike will be. Pro Trek's PRG600Y-L comes equipped with a digital compass to keep you on track during your excursions. According to Section Hiker, one of the best ways to get comfortable on the trails and improve your abilities is to join a local hiking group. If your own friends and family members are not as eager about exploring the woods by foot as you, joining a club is a great way to make new friends interested in the same endeavors. Not only can you learn from more experienced hikers, but joining a local outdoor league is a great way to get excited about your new hobby. 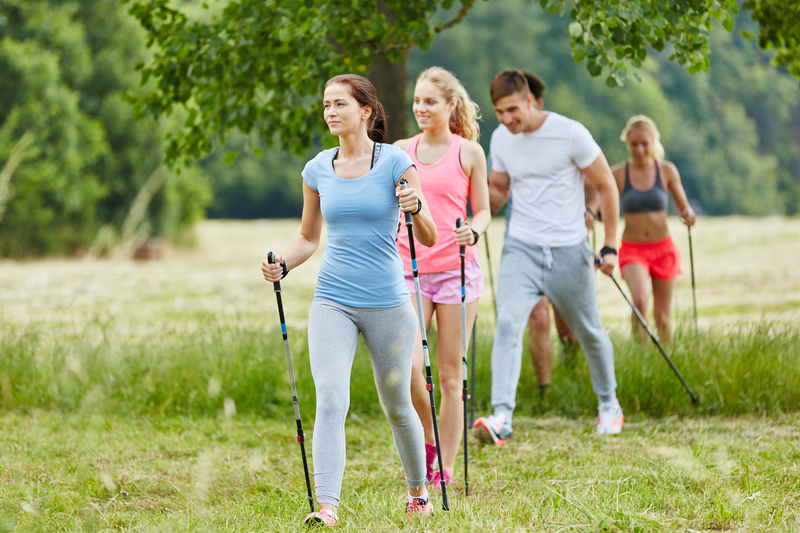 Clubs will often organize regular day hikes, making it easy for you to tag along. Just like you wouldn't sign up for a marathon as a novice runner, planning a multi-day excursion early on in your hiking career isn't the best idea. While the allure of an overnight adventure and sleeping under the stars can sound appealing, it's best to get comfortable with day hiking before you decide to embark on a multi-day trek. Getting oriented with the great outdoors and feeling comfortable on the trails is important before you commit to long hikes. Similarly, be sure to pace yourself on your first few day hikes, outdoor blog Liftopia advised. When you first hit the trails and don't have much experience under your belt, it can be easy to push too hard and wear yourself out. Exerting all of your energy in the first few miles won't bode well for you. A good rule of thumb is to pick and stick with one steady pace you will be able to maintain for the entire hike.